This delicious smoothie is fantastic for boosting your daily intake of vitamins and minerals. Beets are great for helping detox your liver. They are also packed with vitamin C, iron, folic acid, phosphorus, magnesium and B6. Bananas are great for lowering blood pressure. Avocados are packed with healthy fats, vitamins A, D and E; these help maintain healthy skin. Pink Grapefruit contains antioxidants such as lycopene and beta carotene which help protect the body’s immunity. Lemon juice is abundant with vitamin C. Carob is used as a chocolate alternative and is great for digestive health. Ginger is a great anti-inflammatory. I use Stevia to sweeten it up. Stevia is a natural alternative to sugar. Chia seeds add protein and are great for your digestion. Flaxseed oil contains omega 3 essential fatty acids (EFAs). EFAs are great for bowel, colon and cardiovascular health. Add all the ingredients to the blender. Cover with filtered water and throw in some ice cubes. 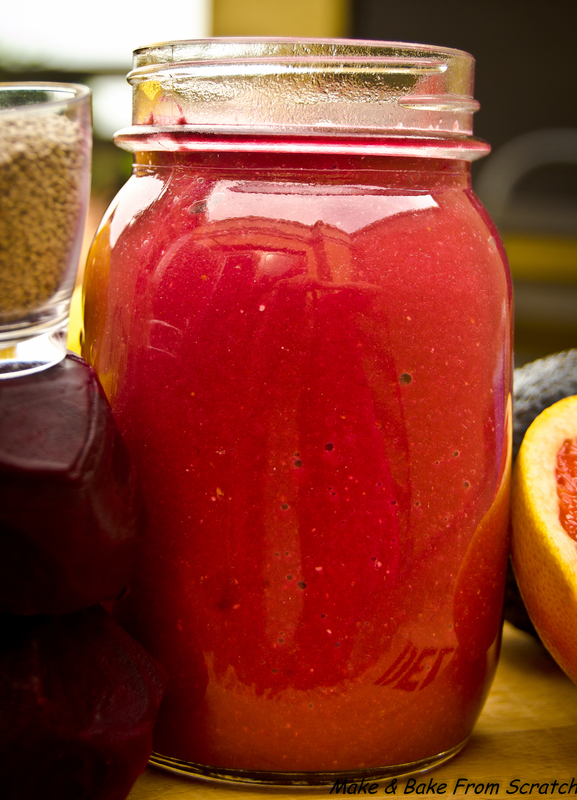 Blend it to a smooth consistency and enjoy the beets. 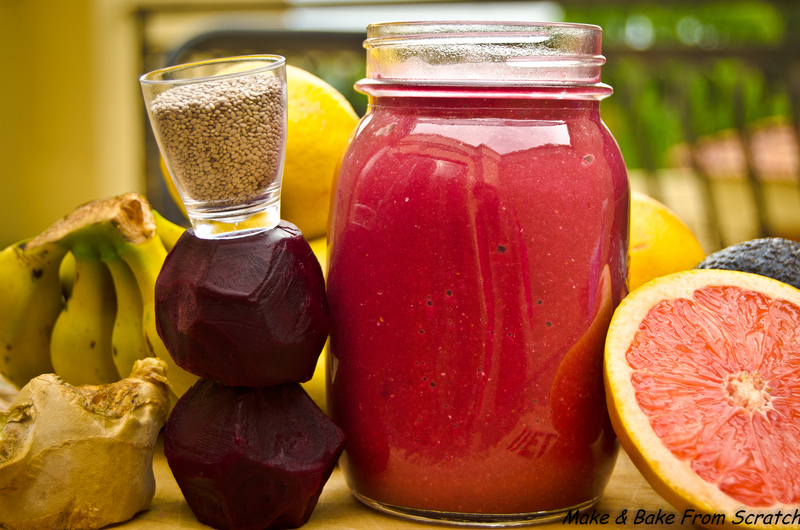 You can mix and match any flavor you like with this smoothie. Add raspberries, blueberries or kiwis. You could add some almond meal to thicken it up and boost your protein intake. Mint leaves will give it a refreshing taste. Tease your taste buds!